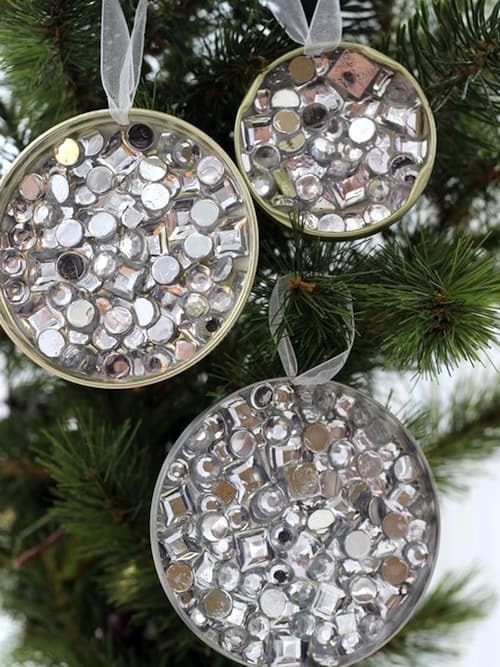 These recycled christmas ornaments use can lids and rhinestones, and they look bling-y and fabulous on my tree! 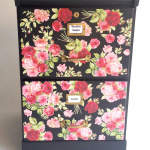 So easy to make, and can be completed in four simple steps. Hi! It’s Shannon from Rosyscription again! 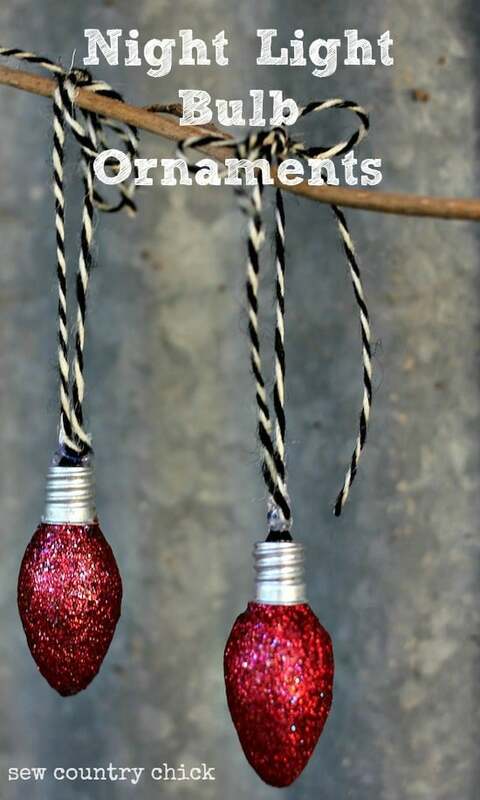 I’m back for Christmas to share a simple and sparkly recycled DIY ornaments with you today! Raise your hand if you have your hubby or significant other trained to ask you before throwing stuff out? My husband knows better than to toss old jars and bottles in the recycle bin. He usually gives me a chance to look them over for crafty potential. 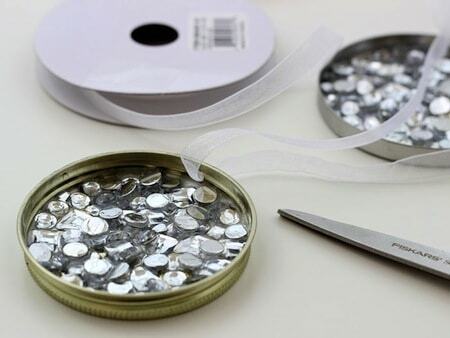 He also knows that I’ve been collecting metallic jar lids lately specifically for DIY Christmas ornaments. 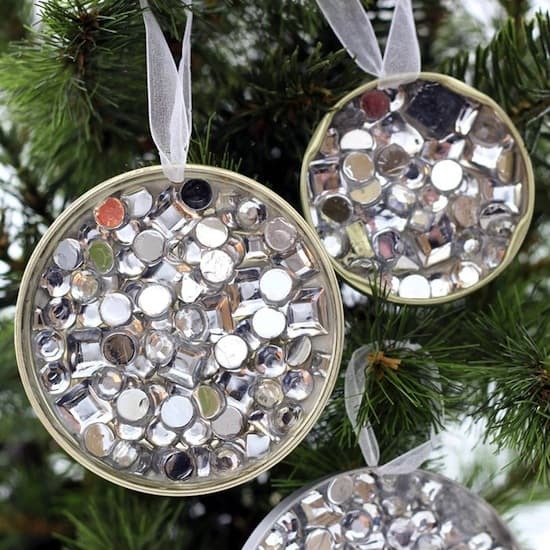 What he didn’t know is how amazing these recycled rhinestone DIY ornaments would look when they were done! Aren’t they pretty? I think they kind of look like the inside of a geode rock. You know, those big rocks that are filled with encrusted gems when cracked open? Maybe? 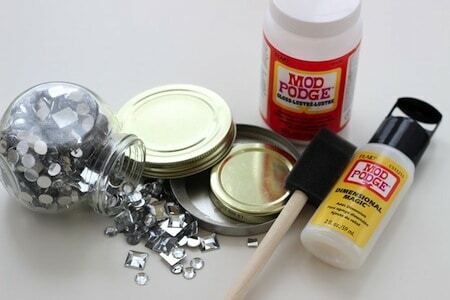 Step Two: Brush a thick layer of Mod Podge onto the inside area of the lid. 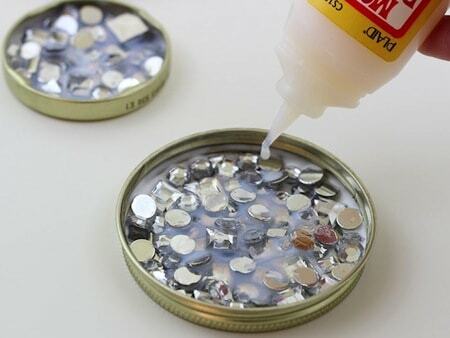 Start placing your rhinestones down into the glue. Continue to fill in with more stones and use more glue as you fill in the gaps. It is OK to overlap the pieces with each other. Some of the stones may flip upside down . . . but don’t worry if they do! The mirrored bottoms of the gems will add more shine and texture to your ornament. 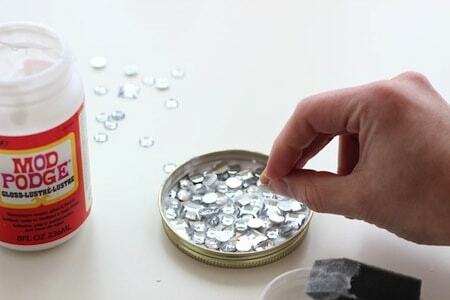 Once the inside of the lid is completely covered with gems, allow the glue to dry. Step Three: Take your bottle of Dimensional Magic and carefully pour the material in and around the gemstones until the jewels are almost covered in the glue. Allow the DM to dry overnight. When the thick glue is dry, it will be crystal clear! It will look like your gems are embedded in resin. Step Four: Thread a length of thin ribbon through the pre-drill holes and tie the ends to create a ribbon loop. 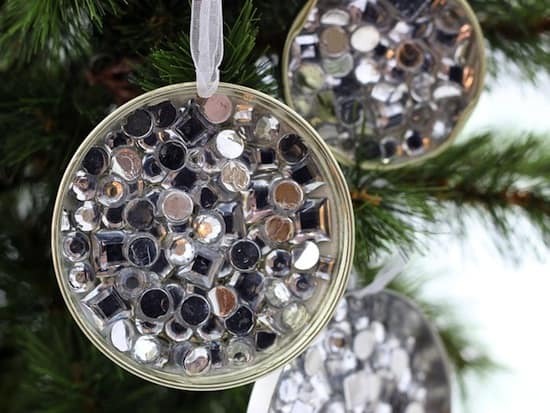 Hang your pretty, recycled holiday ornament on your tree this year! I love how these ornaments bounce the light around. They are going to be the perfect addition to our Christmas tree this year. In my opinion, the holidays should be filled with lots of sparkle and shine! I love these! My husband is in training right now…he throws very little away without asking. I am going to have to whip out my Dimensional Magic and make some! Cute and easy! love it! If you have other kid-friendly crafts, we’d love it if you would submit them. If you would like to display a featured button on your site, you can grab one from the right side bar of your post above. Thanks for a great project idea!